First of all, why do you need medication for Hashimoto’s? Ultimately, to live. Think of it as a supplement that’s supplying the body with the hormone it is missing. That said, thyroid medication isn’t the hard-hitting big-pharma stuff. In fact, you’re essentially supplying the body with a natural hormone that it otherwise would create on its own. To treat Hashimoto’s, you first have to take the right tests. Testing can be misleading, which is why you want to take a comprehensive approach and test all of your thyroid levels. Once you get the results and talk with your physician, you can come up with a healing plan. So, that leads us to the main point of this post: what’s the best medication for Hashimoto’s? The answer isn’t so cut and dry because we are all unique and therefore might require different medication. There are four main categories for Thyroid medication, and understanding them can help you address which one is best for you. 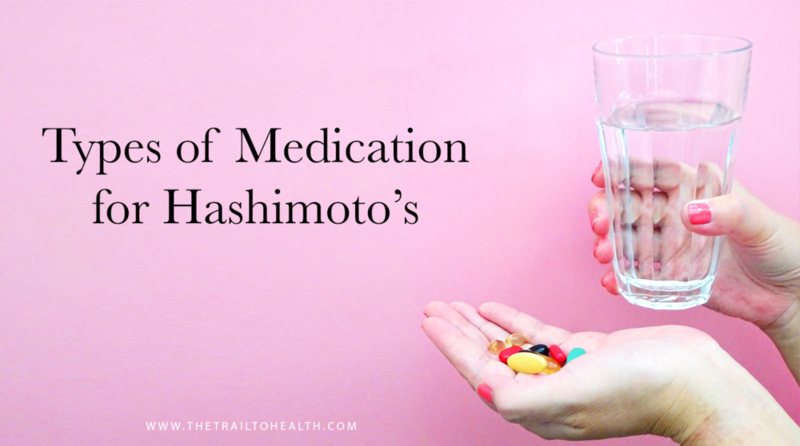 Let’s get to it and explore the different types of medications for Hashimoto’s Disease. Synthetic T4 thyroid medication is the most popular treatment for Hashimoto’s disease. The body uses T4, the storage form of hormones, and converts it into the active form, T3. While this is an effective thyroid medication for many people, not everyone can naturally convert T4 to T3 due to deficiencies or adrenal fatigue. Popular T4 thyroid medications include Levoxyl and Synthroid, however these both don’t provide any T3. This means that for those who have trouble converting T4 to T3, their T3 levels will stay low. Low T3 levels equals more unpleasant symptoms. Another thing to consider with T4 thyroid medication is that synthetic medications use inactive ingredients that may contain lactose or allergens. If you have food sensitivities, you’ll want to ensure that the inactive ingredients do not contain allergens, or involve cross-contaminants that can cause an allergic reaction. Those who have trouble converting T4 to T3 may want to take T3 thyroid medication. There are T3 medications available in preformed, synthetic and compounded forms. Ultimately, T3 medication give you a strong burst of energy that declines throughout the day. There are also time-release T3 thyroid medications. Compounded T3 medications are tailor-made in strength and dosage to best fit your needs. Of course, your doctor will prescribe this custom medication. Unfortunately, many insurance providers do not cover compound medications. That said, even without insurance they are more affordable than standard prescriptions. Another type of medication for Hashimoto’s Disease is a desiccated thyroid medication, made from dried pig glands. These provide the full range of hormones from the Thyroid, including T1, T2, T3 and T4. If your body has trouble converting T4 into T3, a desiccated thyroid med can be helpful—particularly with losing weight for those who have an under-active thyroid. Desiccated meds contains thyroglobulin, a protein that helps spread T3 through the body throughout the day. Desiccated medication for thyroid provides the most comprehensive treatment as it mimics the thyroid’s natural process. Each of these thyroid medications has its own pros and cons, and it’s really about finding the one that best suits you and your body. Taking thyroid medication requires a lot of experimentation to see what works, what doesn’t and what is right for you. Your body will tell you if something isn’t quite right—and you’ll want to share your symptoms and feedback closely with your doctor until you find the right medication and dosage. Taking thyroid medication for Hashimoto’s Disease is only one part of your treatment plan. If we look a little deeper, we can take a broader approach. As with most autoimmune diseases, there are usually underlying issues that are contributing or triggering your thyroid disease and symptoms. Emotional stress can trigger symptoms, which is why stress management is crucial. It’s also important to evaluate lifestyle choices—especially when it comes to nutrition. I’ve found that a gluten-free diet is vital to maintaining my thyroid symptoms. Treating Hashimoto’s Disease might seem overwhelming at first, but if you step back and assess, you’ll see that you can tackle it from multiple angles. It’s absolutely critical to test all of your thyroid levels and work closely with your physician to find the right thyroid medication and dosage for you. 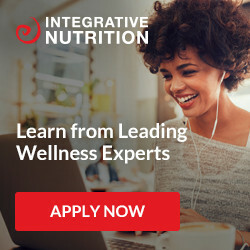 Concurrently, you’ll want to evaluate your stress levels and food intake to take a comprehensive approach to healing from Hashimoto’s Disease.